Dion Neutra, son of celebrated architect Richard Neutra and surviving partner in the storied architectural firm, invites Neutra fans to help celebrate the firm’s 85th anniversary next weekend in Los Angeles. Dion plans a series of events that include a birthday party at the Eagle Recreation Center on Friday, April 8, which would be Richard Neutra’s 119th (b. April 8, 1892- d. April 16, 1970). On Saturday and Sunday are a symposium, reunion of Neutra owners, comprehensive walking tour of 10 Silver Lakes homes including the Lovell Health House, plus documentary films and VIP receptions at various Neutra designed sites in Los Angeles. Ticket sales benefit the Van Der Leeuw Research house restoration and endowment, a 501 c 3 non-profit institute. A ticket to all weekend events is $250 or separate tickets are available for each event. To purchase tickets and for specific information, go to www.neutra.org/reserve-your-space.html. 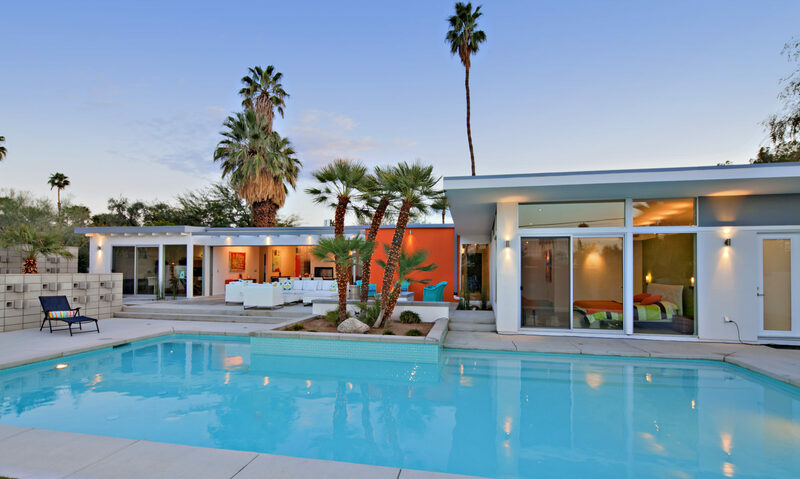 The Austrian-born Richard Neutra, who emigrated to the United States in 1923, is best known for combining Bauhaus modernism with Southern California building trends, creating a unique adaptation that became known as Desert Modernism. After coming to the US, Neutra worked briefly for Frank Lloyd Wright before collaborating with his close friend and university companion Rudolf Schindler, living and working communally in Schindler’s Kings Road House in California. 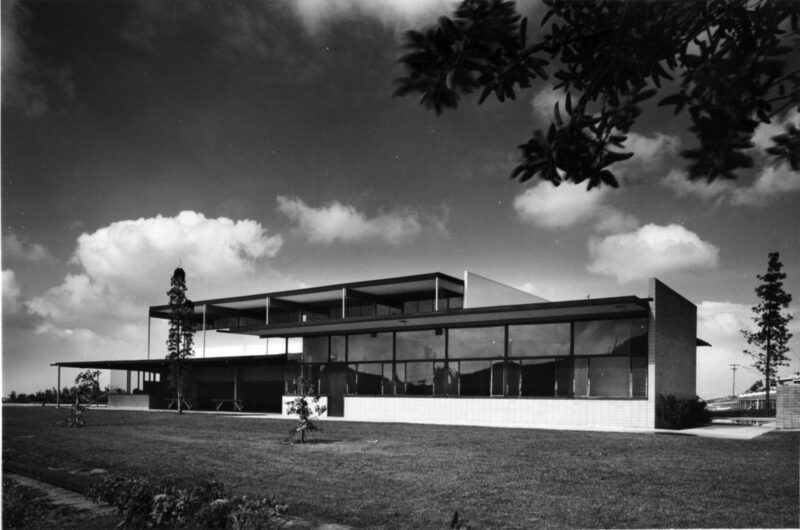 Neutra’s houses were dramatic, flat-surfaced industrialized looking building, constructed with glass, steel and reinforced concrete, and typically finished in stucco. His style was rigorously geometric but composed airy structures that created a modern regionalism for Southern California, a West Coast variation of the Mid-Century Modern residence. Neutra was regarded for the careful attention he gave to defining the real needs of his clients, regardless of the size of the project. He sometimes used detailed questionnaires to discover his client’s needs, much to their surprise. His domestic architecture was a blend of art, landscape and practical comfort. The Lovell House (1927-1929) in Los Angeles created a sensation in architectural circles both in Europe and America, as stylistically similar to Le Corbusier and Mies van der Rohe. A special tour of this house for the anniversary celebration takes place on Sunday, April 10 from noon to 5 p.m. The Kaufman House has twice been at the vanguard of new movements in architecture: First by helping to shape postwar Modernism and later, as a result of a painstaking and expensive restoration in the late 1990s, spurred a revival of interest in mid-20th century homes, according to a New York Times review by Edward Wyatt. This house is one of Neutra’s the best-known. Its unusual pin-wheel plan was designed for Pittsburgh department store magnate Edgar J. Kaufmann, became the last domestic project by the architect, and arguably his most famous. Neutra extended architectural space into carefully arranged landscapes. The dramatic images of flat-surface, industrialized residential buildings contrasted against nature were popularized by Shulman’s photography. In his architectural firm, Neutra worked with several successful partners including his wife, Dione, from 1922; his protégé Robert Alexander, from 1949 to 1958 (the Alexander homes in Palm Springs); and his son Dion from 1965. In the early 1930s, Neutra’s Los Angeles practice trained several young architects who went on to independent success, including Gregory Ain, Harwell Hamilton Harris and Raphael Soriano. Neutra is one of many famous Mid Century Modern architects whose celebrated works abound in the California desert. For a tour of significant Desert Modern homes and estates currently for sale, contact Ralph Haverkate Real Estate at Ralph@RHaverkate.com.